We all know the feeling of waking up to unsightly circles, bags, or creases beneath our sleep-deprived eyes. Fortunately, there are now masks designed to combat those pesky appearances. Specifically made to fit the curves and contours of our fragile under-eyes, eye masks have become one of our most prized possessions in our skincare lineup. And though we’ll always appreciate how spa-like a pair of freshly cut cucumbers look atop our eyelids, they’ve officially been replaced by the firming and hydrating likes of our favorite eye masks for dark circles. Infused with everything from collagen to 24-karat gold, eye masks are having a moment within the beauty industry—and slowly (but surely), we’ve become fond of the patches. They work in a pinch whenever we’ve neglected our weekly sleep and water quota, look great on our Instagram feed (have you checked out #ByrdieBedtime yet? ), and also make the most fantastic of sleep accessories. However, as with most beauty and skincare products, some work better than others. Want to know which under-eye masks we love? Keep reading for our editor-approved list of the seven best eye masks for dark circles, puffiness, and dehydration. Out of our seven favorite eye masks for dark circles, these cactus collagen–infused ones from Honest Hazel just might be the most soothing. They’re specially formulated to tackle it all—acting as a quick and relaxing fix for pesky puffiness, dark circles, fine lines, and dehydration. Vitamin C, vitamin E, and arbutin (which combats hyperpigmentation) are other helpful ingredients. If dark circles, puffiness, and fine lines are the bane of your existence, they’ve officially met their match with these cult-loved firming gels from Skyn Iceland. Enriched with mystical, lore-like Icelandic glacial waters, botanicals, and peptides, they work to improve blood flow while toning and soothing under-eyes. We’re known to sleep in them, but they also work wonders in just 10 minutes. 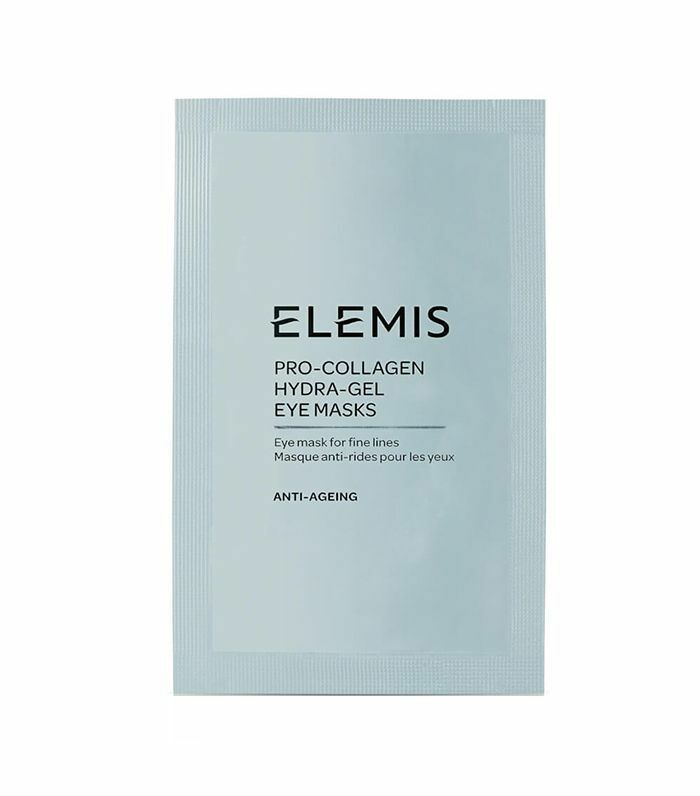 Boasting near-instantaneous results, these eye masks from Elemis help tighten and tone the area around the eye—thanks to an all-star cast of jojoba, panthenol, and hyaluronic acid. Leave the patches on for at least 20 minutes, and we promise you’ll soon be back to your bright-eyed, bushy-tailed self. You’ve probably already seen these gilded, celeb-approved eye masks far and wide (in other words, all across Instagram). And while yes, the glittering flecks of 24K gold do make for a mesmerizing selfie, they also have a knack for lifting and firming our tired and drooping under-eyes come Friday night. (Trust us—we’ve tested them and found that they’re a great pre-gaming treatment.) Other skin-improving ingredients include caffeine, hyaluronic acid, colloidal gold, and hydrolyzed collagen. 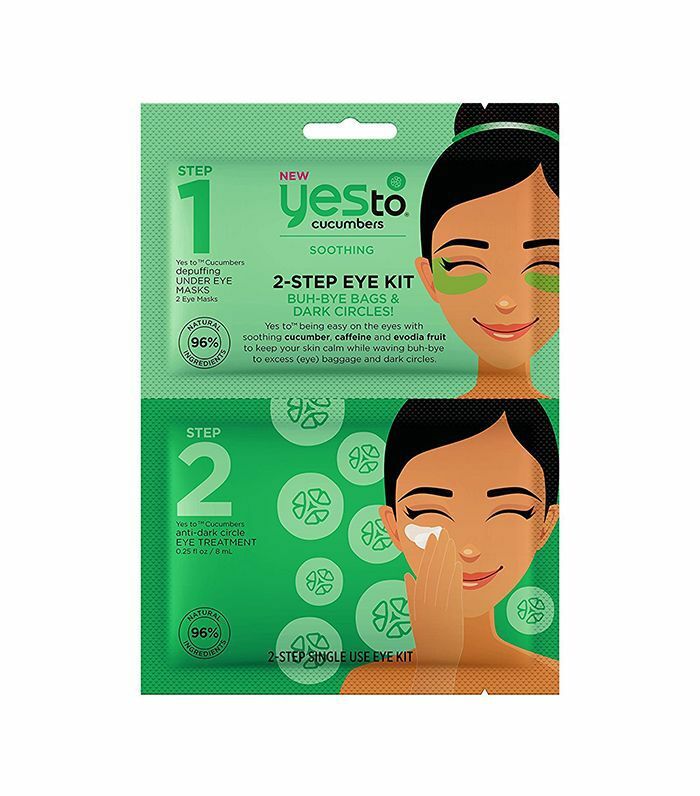 We easily fall prey to any product that promises to multitask, and this two-step kit from drugstore brand, Yes To is no exception. The formula, equipped with tightening and soothing agents such as cucumber, caffeine, and Evodia fruit, bans those dreaded shadows and under-eye bags quickly. First, apply the patch (which specifically targets puffiness) and then follow suit with the hydration-packed eye treatment cream for a helping hand of brightness. These are by far one of the best (not to mention budget-friendly) eye masks for dark circles that money can buy. From celebrity esthetician Joanna Vargas comes these highly lauded eye mask treatments. Specifically formulated to pack an extra-potent punch, the formula brightens, hydrates, and firms—making it a true triple threat. 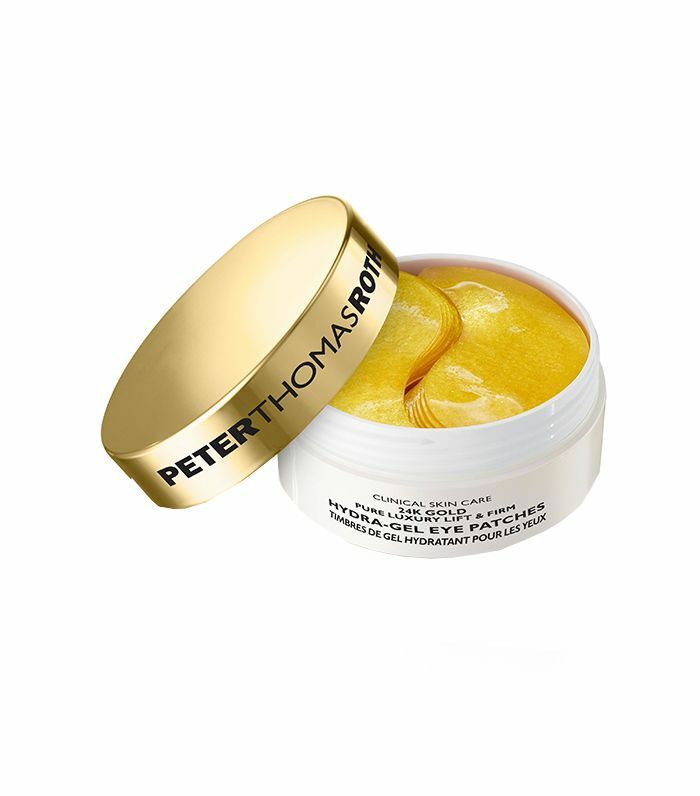 The list of ingredients includes chamomile extract, hydrolyzed silk proteins, hyaluronic acid, peptides, and matrixyl to stimulate the production of collagen. 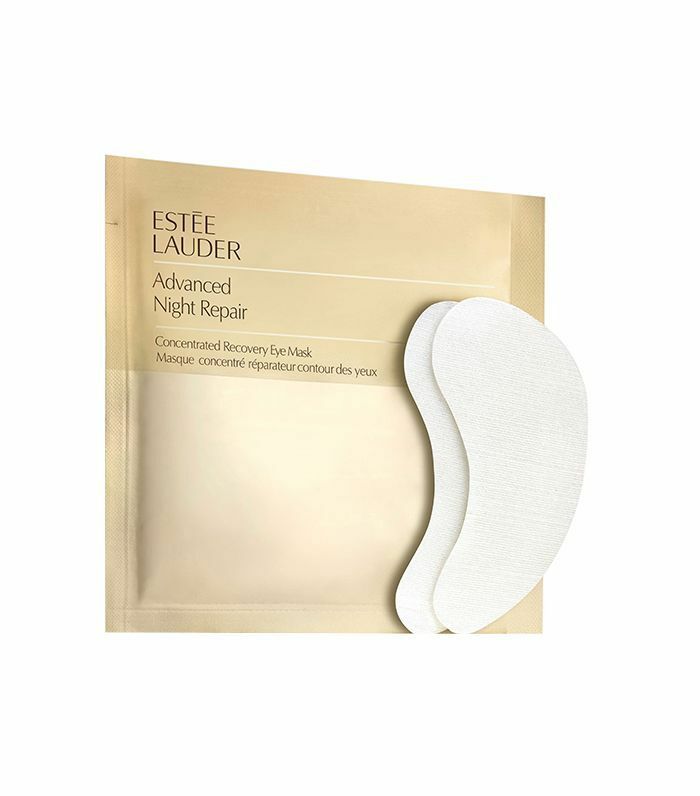 Wondrous for reviving the most pallid and puffy of eyes, these reparative eye masks from Estée Lauder help feign the look of a good night’s sleep and are great for dark circles. The contours of the eyes look toned and tightened, pigment is instantly corrected, and glow is replenished. If one thing’s for sure, you can expect a dreamy, rested, and radiant end result.